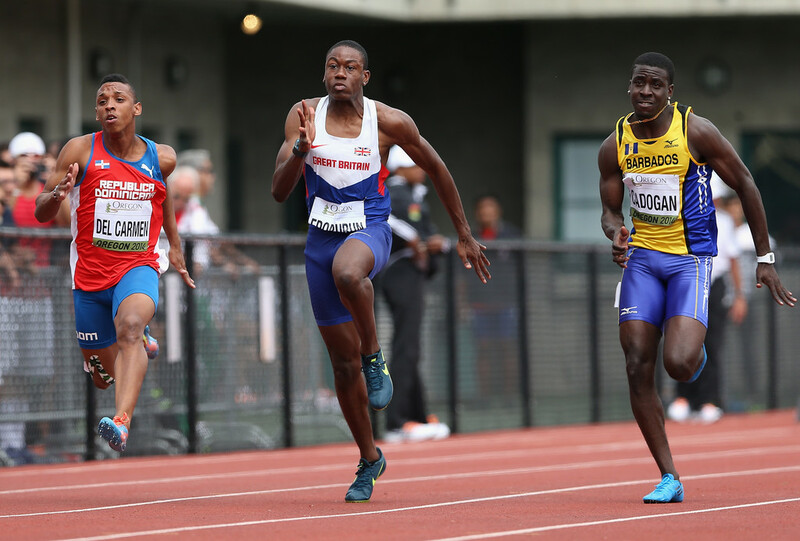 Team Barbados Rio 2016: Levi Cadogan (200m) – Barbados Olympic Association Inc. In 2011, Levi took up athletics and in that year he represented Barbados at the 40th CARIFTA Games in Montego Bay, Jamaica. From there, Levi’s athletic career developed exponentially and, at the age of 17, Levi became the youngest ever Barbadian to represent Barbados in the 4x100m relay at the 2013 IAAF World Championships in Athletics which was held in Moscow, Russia. He also became the first school-boy in Barbados’ history to sign a contract with a major international sporting brand. Later, at the age of 19, Levi became Barbados’ 100m national champion and also the youngest ever Barbadian to qualify for the 100m semi-finals at the IAAF World Championships in Athletics which was held in Beijing, China that year. Levi is proud of being “home grown” and his biggest role model is his dad.